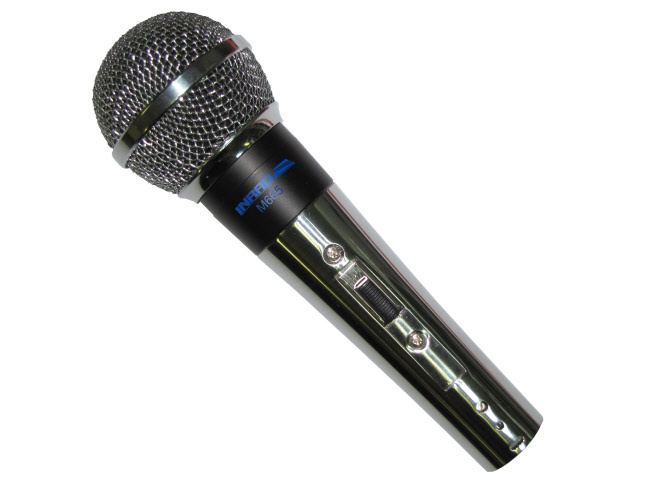 M665 features a retro chrome look reminiscent of the classic Shure® 565. The M665 is similar in overall response to the M650, except the abrupt rise from 1 to 2 kHz in audio response on the M665 does not occur until after 2 kHz. Overall, this microphone has a little bit less higher frequency audio output plus a slightly flatter response from 100 Hz to 2 kHz than the M650. Compared to the M686 offered at the same retail price, this microphone has more higher end output than the M686, at the slight expense of overall audio response. Unique cardioid dynamic unidirectional element. Built-in spherical breath and pop filter on the element. Sounds great! Nice look for today's ham shack. M665 is supplied with a 3 pin XLR to 1/8” mono cable suitable for use with the DMS-1 PTT base or an INRAD M-series mic jack adapter.